Color Changing Guitar Pick Necklace! 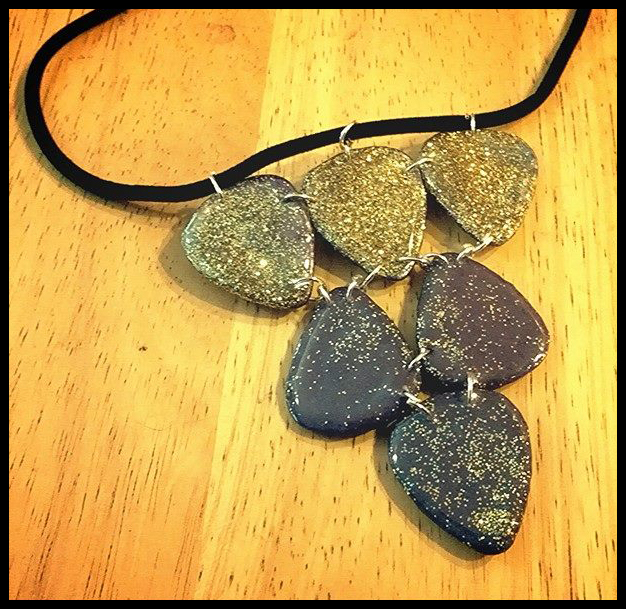 Color changing guitar pick pendants on a velvety cord. Pendants react to touch by turning light blue from a glittery purple. Necklace measures at 3 1/2 inches (not including the chain, just the pendant itself). Super shiny guitar pick rings painted with nail polish by Digital Nails called "Lying".